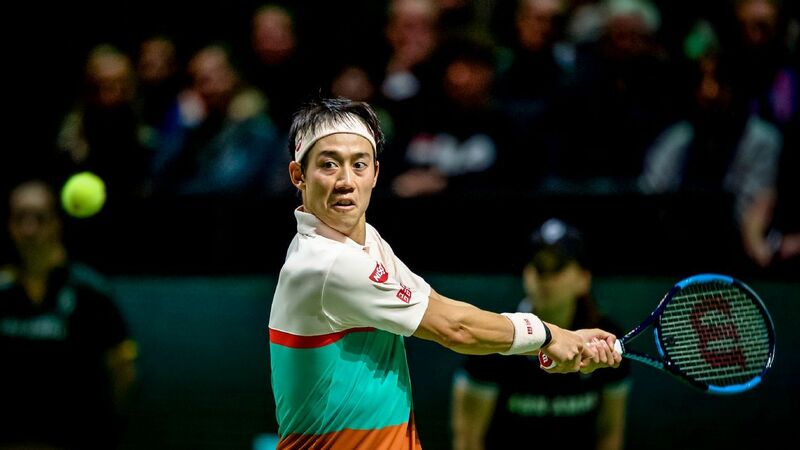 Kei Nishikori overcame Pierre-Hugues Herbert 3-6, 6-1, 6-4 at the Rotterdam Open Tuesday on his return from the knee injury which forced him to retire during his Australian Open quarterfinal against Novak Djokovic. The Japanese world No. 7 lost the first set to the Frenchman but bounced back to win the first round match and will next face Latvian Ernests Gulbis. who beat Marius Copil 6-2, 6-4. “It wasn’t easy, as he [Herbert] was playing good tennis and serving well,” said Nishikori. Earlier, fourth seed Milos Raonic beat Philipp Kohlschreiber 7-6(8), 7-5 to set up a repeat of his epic Australian Open match against Switzerland’s Stan Wawrinka. Elsewhere No. 2 seed Karen Khachanov fell to a surprise defeat against home favourite Tallon Griekspoor. The Dutchman — ranked No. 211 in the world — defeated the highly-rated Russian 3-6, 6-3, 6-2. Frenchman Gael Monfils is also through to the second round after an impressive 7-6 (5), 7-5 win over Belgian No. 8 seed David Goffin. Canada’s Denis Shapovalov made it through with a comfortable 7-5, 6-3 win over Croatian qualifier Franko Skugor. He will face Tomas Berdych in the second round after the Czech battled past qualifier Gilles Simon, winning 7-6 (8), 6-4. Fernando Verdasco also made it to round two by beating Australia’s Matthew Ebden 7-5, 6-4.